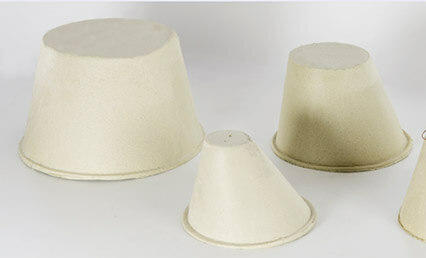 TENMAT FIREFLY 120 and FIREFLY 130 are exonerated mineral fibre based refractory materials which are used to reinstate fire and acoustic ratings, and improve airtightness, in lighting and electrical socket penetrations. FF130 offers added flexibility, allowing rolling / folding of shapes to ease fitting. Both materials are available vacuum formed into shapes.